Jeff Bezos And Lauren Sanchez: Are Wedding Bells In Amazon CEO's Future? Jeff Bezos and his new girlfriend Lauren Sanchez are getting even closer, now that the Amazon CEO has announced his divorce. Bezos and Sanchez are reportedly planning on moving in together, People reported. “They are very much together, and are planning to move in together,” a source told the news outlet. 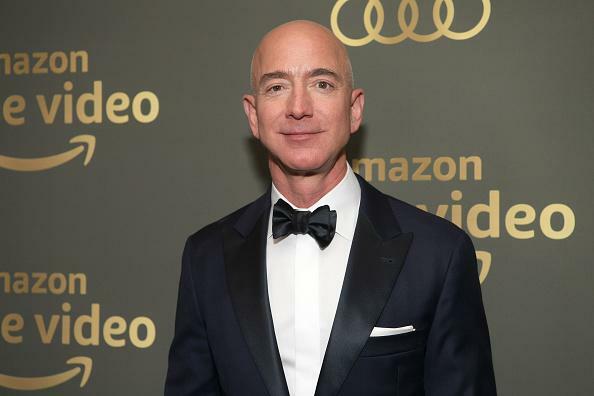 Bezos announced his divorce to wife MacKenzie earlier this month on the same day that the National Enquirer went public with news that he was having an affair with Sanchez. Sanchez is also getting a divorce from her husband, Patrick Whitesell. It is unclear what the future holds for Bezos and Sanchez, and that includes wedding bells. However, while the two are rarely spotted together in public, they are still in “constant contact,” a source told People. Bezos is facing what many are calling the most expensive divorce in history as he is worth an estimated $137 billion. Bezos has four children with MacKenzie while Sanchez has two with Whitesall, who she has been married to for 13 years.